What does your kitchen color say about you? Your kitchen is the center of your nutritional hub. It’s where you make your decisions on how (and how often) to fuel your own body, and the bodies of others you may be responsible for feeding. For some of you, it’s also the place where meals are served and consumer: at a bar or island, for example, or a casual kitchen table. You’ve already taken control of what goes in your refrigerator; now summer’s your chance to take control of the mood your kitchen sets. Believe it or not, the color of your kitchen walls can have an impact on your diet. Perhaps it’s time to evaluate how you want your kitchen to make you feel, and seize the day. 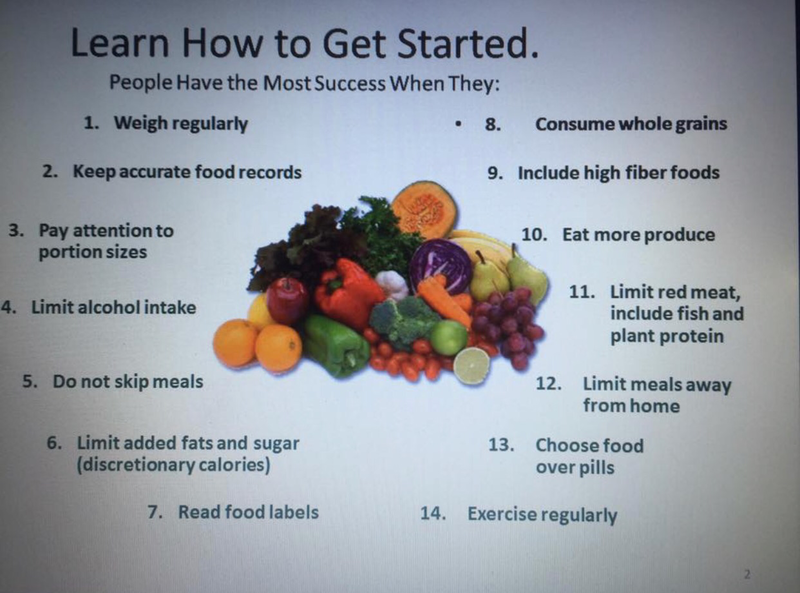 Learn how to get started on your weight loss! First of all, there’s a reason that McDonald’s, Burger King, and every fast food restaurant known to man incorporates red and yellow in their logos and décor. Want to guess why? Let’s start with yellow. This cheery hue is good for optimism and hope. But it also stimulates the appetite, pure and simple. You just thought you wanted a salad . . . now you want a Big Mac with fries. Yellow is happy, but to overweight people, it can also be a tad dangerous when applied to kitchen walls. Better to let a good workout stimulate the appetite than the mere presence of a color. Unless, of course, you are underweight. (Yes, we know you’re out there, even though those “other” people get all the reality shows). Need to beef up? Head for the yellow section of the paint store and slather it on. Think butter, egg yolks, lemons . . . mmm, I’m getting hungry already. But yellow helps the memory, so it could be useful if mom’s not available for a recipe consult. Orange stimulates learning. If you’re a new cook, or aspiring chef or nutritionist, opt for orange. As for red, it is a complex color, perhaps the most of all. Red engages us and brings out our emotions. Remember the saying “seeing red?” Here’s the amazing thing about this color: to calm people, it is exciting, in a good way, a little thrilling. But for folks who are more anxious in nature, red is disturbing. The last thing you want is to be disturbed 8-12 times a day, so be honest with yourself about your nature, and that of others with whom you may live. Red walls trigger the release of adrenaline (which can be good for cooking, I suppose). And like yellow, it also stimulates the appetite, while simultaneously stimulating the sense of smell. If your idea of a romantic evening is enjoying a glass of red wine, cutting up some veggies, and canoodling, while sautéing a clove or two of garlic . . . then you know what to do. Red walls can also increase your blood pressure and breathing rate, but then again, you’ll never know if it’s the walls or the canoodling. Blue is opposite of yellow, on the color wheel, and in terms of appetite. It decreases blood pressure, the breathing rate, and the desire to eat, as do indigo and violet. So if you’re determined to drop 20, 30, even 40 pounds . . . coat your walls in hues of blueberries, grapes or plums. This will also remind you to eat antioxidants, which is a good thing. You win on two counts! Pink is also proven as a winning weight-control color, at none other than prestigious Johns Hopkins Medical University in Baltimore. This brings us to green, the color of all things fresh and good for our bodies. Green is relaxing, and also creates a sense of balance. It relaxes the body, and helps those who suffer from nervousness, anxiety or depression. Green may also aid in raising blood histamine levels, reducing sensitivity to food allergies. Antigens may also be stimulated by green, for overall better immune system healing. They don’t tell us this in the paint section at Home Depot, do they? Placing your sunlit fresh herbs near a green wall brings the outdoors in. Which might also make you think about starting a garden, going for a walk or run, or cycling around the neighborhood. This is a win-win. Brown enhances a feeling of security, reduces fatigues and is relaxing. Black is a power color. If you have six-packs and you know it, raise your hand. Gray is the most neutral of all colors for the kitchen: not much happening there. Brighter hues inspire creativity and energy, while darker colors are peaceful and lower stress. Beige and off white are “learning” colors, if you need to justify it to a partner with a bright personality. Make good choices, on your walls, as well as your plate. What color should your kitchen be? Registered Dietitian and Nutritionist Elaine Sirt-Hastings, RD, LD/N, CSSD is the Founder of Associates in Nutrition and Sports Specialty and President of. Elaine Hastings and Associates, a National Expert in Nutrition, energy, supplements and human performance, a leader in the health, wellness, fitness and sports nutrition industries. Elaine is an engaging and informed Supplement, Performance and Energy Expert. Elaine is a go-to media source both nationally and internationally, with extensive knowledge in every aspect of nutrition. She has been a multimedia content contribute and media resource for some 20 years. Elaine specializes in human performance, wellness, energy, nutrition, fitness, eating disorders, sports and team nutrition. She is a highly sought after educator, author and spokesperson with excellent cross-cultural awareness. Being a former athlete and model Elaine knows how to help you Stay in Your Game! Stay in Your Game™ Eat and move for Top Performance in YOUR Life! …work. fitness. corporate. teams. athletes. kids.